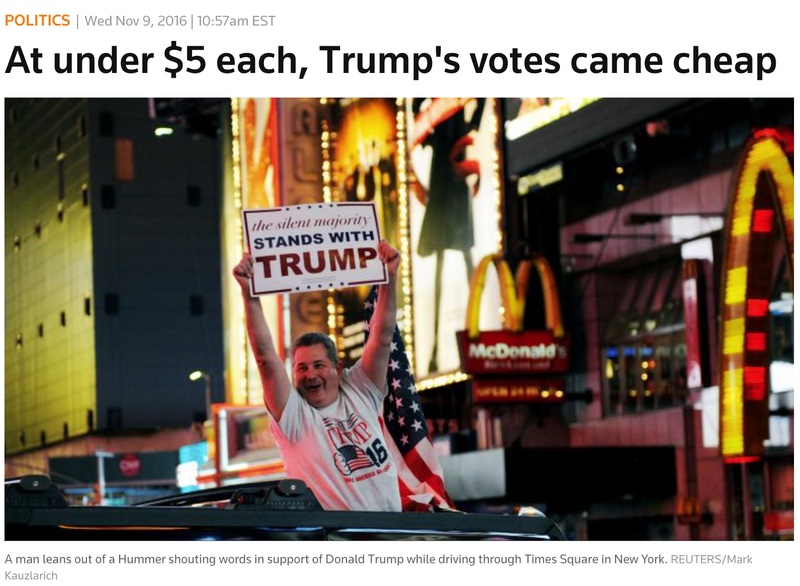 What do Nelson Mandela, Thom Tillis, Trump’s possible Secretary of State pick John Bolton, Brietbart Chairman Steve Bannon, Ted Cruz, a reclusive billionaire computer scientist political donor, a quant hedge trading fund, the #Brexit, and Donald J. Trump have in common? Military-grade data firepower. Too many post-election Trump think pieces are trying to look through the “Facebook filter” peephole, instead of the other way around. So, let’s turn the filter inside out and see what falls out. 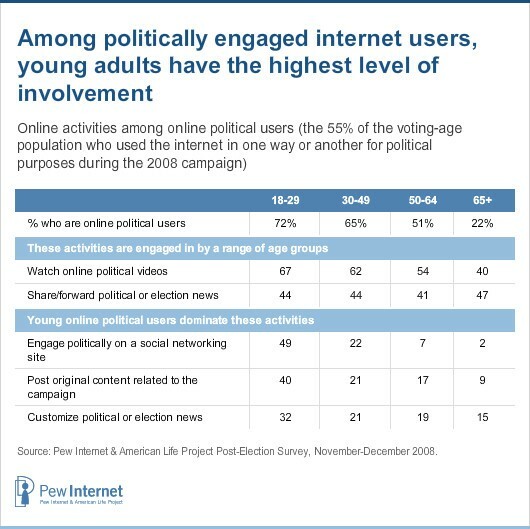 Voters have been on Facebook since 2008. The NYT’s late David Carr wrote about how the first Obama campaign famously used social media to get out the vote — not so much through strategic data profiling as through focused candidate messaging and grassroots mobilization. Yet, the Facebook election world has changed since 2008. It’s also much different than 2012 and 2014. To set the Trump “Facebook” election record straight, Trump’s real momentum came in August 2016 when his son-in-law introduced him to the team hired by Ted Cruz’s primary SuperPAC, the London-based SCL behavioral science group’s U.S. subsidiary Cambridge Analytica (CA). The “tiny” voter profiling and behavior targeting firm is having quite a run as of recent, associated with high-profile Republican Party actors during the 2014 elections, including former G.W. Bush staffer John Bolton, Ted Cruz, and a win in the most expensive midterm senate race in US history — in 2016 battleground North Carolina. The firm is even described in the Podesta emails on Wikileaks. Cambridge Analytica is responsible for much of the strategic momentum in the pro-Brexit camp’s data-driven “Leave.eu” campaign. Oh, and helping to ensure the 1994 election of Nelson Mandela, the 2004 Ukrainian “Orange Revolution,” and managing campaigns for dozens of prime ministers and governments from Indonesia to Albania. So, the #Brexit success, Nelson Mandela’s South African presidency, Ted Cruz’s primary campaign, and Donald J. Trump’s unexpected election win don’t just share the common populist anti-establishment “brick-through-the-window” narrative, they share a behavioral science psyops firm that tried to build a psychological profile of every U.S. voter. Mercer is involved with Renaissance Technologies, one of the world’s most profitable “quant” hedge funds, which was investigated by the U.S. Senate for software-assisted (i.e., algorithmic) tax evasion practices in 2014. Mercer, along with his GOP mega-donor daughter, was in the top five Republican Party contributors for the 2014 U.S. midterm elections, and was the leading political donor for 2016. CA has been called out for borderline ethical use of personal Facebook data, such as covertly gathering “likes” to predict the attitudes and beliefs that Facebook users might share unknowingly. Other strategic information could include: connected third party application data; comments and likes on public Facebook pages; internet browsing history through Facebook APIs and scripts; consumer loyalty programs, mobile app logins; publicly shared photos and profile information that users forget about; and (I’m presuming) more mundane tactics such as harnessing unassuming personality “quizzes” on Facebook that capture invaluable psychometric data people readily share with their friends and families, but not with a psychological voter profiling firm. When Trump’s real strategy emerged — down to the specific words he used to double down on his controversial propositions (“build a wall”) and inflammatory language (e.g., “Crooked Hillary, “Pocahontas”) — many of the tactics likely came from the military-grade psychometric processing of targeted potential voter data. Even if this psychometric data were to be leaked to the press, it is complex in the sense that journalists and political pundits would probably not able to readily comprehend and report on it. And, much of it would be personally identifying and not ethical to report on in the first place. So, how could the Fourth Estate attempt to use it to inform the general public? While stats hotshot blogs like Fivethirtyeight and the NYT Upshot were working with big data from pre-election polls, voter bias surveys, and exit polls, all of which only mirror information that members of the public are willing give away to someone they don’t know personally, Cambridge Analytica, described as “half ad agency and half hackathon,” was mining the real data, finding hot-button topics that got people 😡 enough to get out the door and rock the vote — not unlike the Obama campaign did for Democrats in 2012. 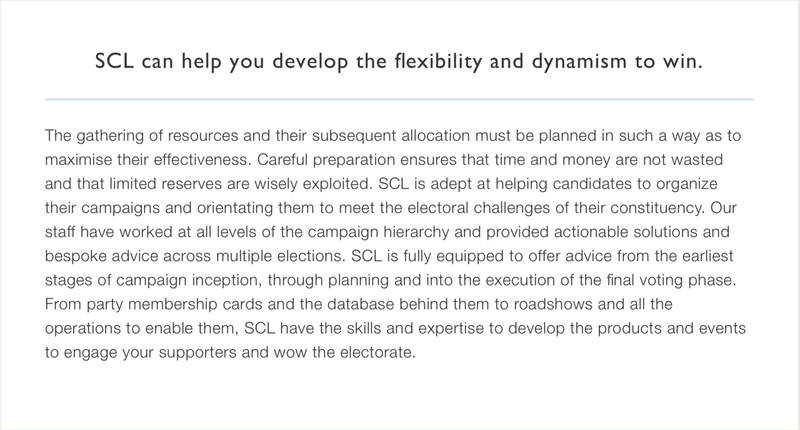 I’m not blaming CA or SCL as the culprit here; the firm offers a service, and politics have always been dirty. The company was hired to do their job, which is to win elections, overthrow governments, control social uprisings, train covert military ops teams, etc. They were paid more than $5 million by the Trump campaign in the month of September alone, not including a sizable payout from Ted Cruz’s primary GOP challenge. 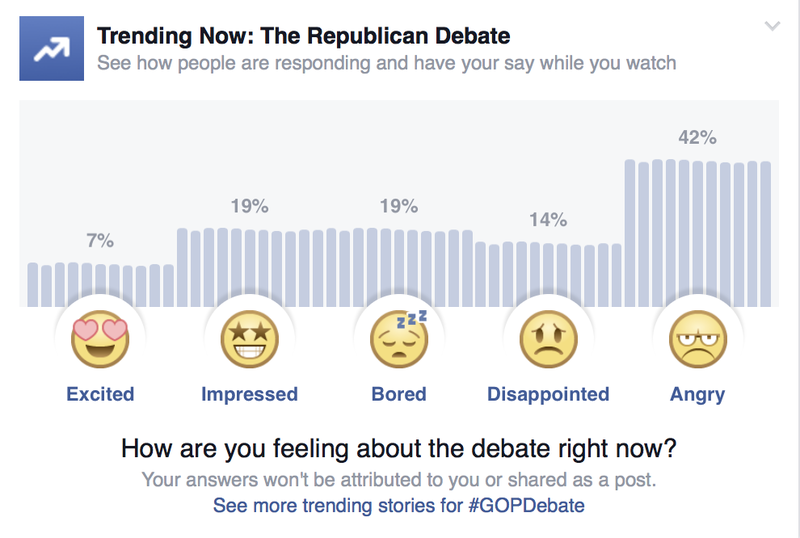 The #Election2016 result wasn’t the fault of the Facebook algorithm, the filter bubble, or professional journalism being completely “out of touch” with the majority of the country. Nor was it the fault of pollsters and statistics geeks who were working with enormous — yet unreliable — sources of data. As the the Trump electoral win clearly demonstrates, the topics people discuss with their closest connections and the viewpoints they share in confidential circles trump even the biggest data sets. Especially when the result involves a clear outcome: an election win from a single behavioral tactic: finding people who can be influenced enough to actually go out and vote. Cambridge Analytica, of course, goes far beyond “Facebook data” and uses scholarly research, machine learning, advanced algorithms, thousands of data points, as well as targeted advertising to potentially receptive voters through mediums like satellite-based DirectTV, whose adtech allows for individual household profiling. The 2016 election was big data vs. big data, but the playing field was uneven. This time around, Trump’s campaign raised the data-driven psychometric micro-targeting strategy stakes to the next level: military grade. Does this mean elections can be “rigged” in a certain candidate’s favor? To be sure, Trump, with major help from one of the world’s elite behavioral data strategy firms backed by a hedge fund billionaire computer scientist mega-donor, “beat the system.” But the campaign used emotionally-charged data voters were willing to cough up — both knowingly and unknowingly — through intense conflict on platforms like Facebook and Twitter. And CA used the press to fuel this emotional data-mining operation. 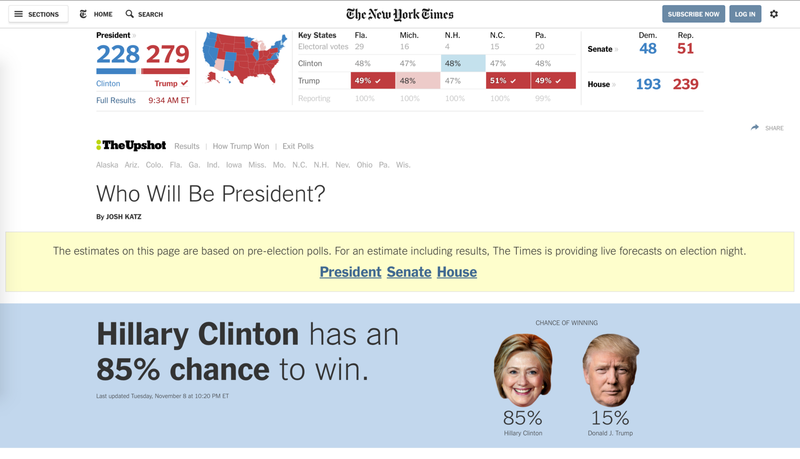 Although social media can work to amplify conflict and relay misinformation, the ultimate failure of media to forecast a more accurate #Election2016 result wasn’t Mark Zuckerberg’s, Jack Dorsey’s, or Nate Silver’s fault. It wasn’t the Clinton team’s fault. And it wasn’t the Fourth Estate’s fault. It was a psychological data-driven model built by CA analysts to seed social change that ended up mostly correct. It’s the new data-industrial complex. Is this a problem for democratic society? Definitely. Is it a conspiracy? I mean, did SCL really plan 9/11? Has the #Donaldgorgon actually arrived?